Stephen Keshi unveiled a shortlist of forty players a few days ago, but the coach of the Super Eagles has reduced his list to 23, 10 days from the decisive match of the 2014 World Cup qualifiers against Malawi in Calabar. A meeting under a high tension when we know about the billowy exchanges between the two technicians of the two countries in recent weeks. 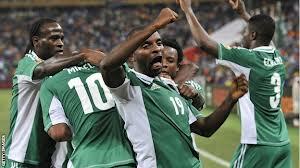 In this list of 23, we find Vincent Enyeama, Mikel Obi, Victor Moses and Shola Ameobi.